This week Disney announced that they were raising the price of their “Signature Plus” Annual Pass to a whopping $1,049.00 USD per person. This price increase will undoubtedly cause many people to rethink forking up more and more of their hard-earned dollars to visit the so-called “Magic Kingdom”. This got me to thinking, what other kinds of “magical” alternatives to Disneyland can be had for a little over a thousand dollars? Just off the top of my head, here are a few. For less than $1,049 USD you could purchase twelve years’ worth of “America The Beautiful – National Parks and Federal Recreational Lands Passes”. This pass allows a driver, AND PASSENGERS, in a personal vehicle to enter U.S. National Parks and more than 2,000 federal recreation areas managed by five federal agencies. The passes are $80 USD a year and cover entrance and standard amenity fees for the driver and all passengers. Also, 100% of the proceeds are used to improve and enhance visitor recreation services. Get out of the city. 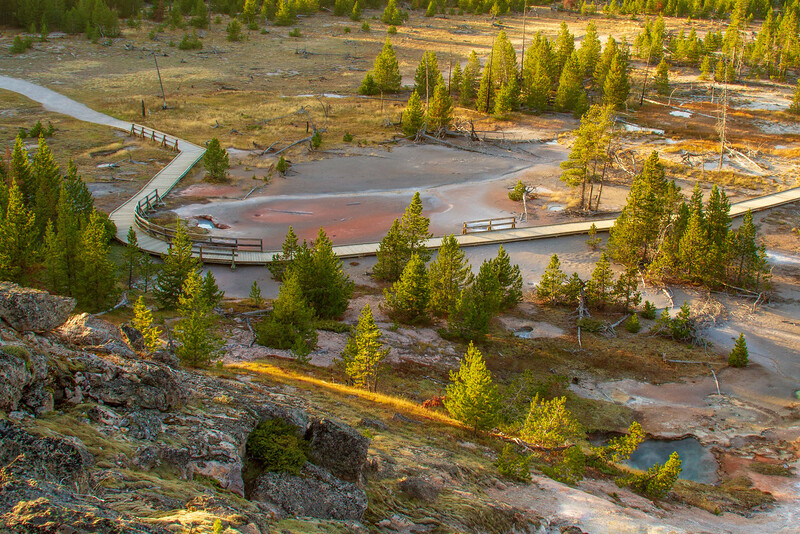 See Yellowstone. See Yosemite. Get some fresh air and enjoy a year’s worth of America’s most beautiful places for a fraction of the cost of even one day at Disneyland. For $1049 USD you could be well on your way to learning how to independently fly a sailplane. There is nothing like the freedom you get from piloting your own aircraft. Literally, soar among the eagles and see the world from a whole new perspective. There are hundreds of soaring organizations located in many parts of the United States. Certification in a glider is available to anyone from the age of 14 on up that is looking for something different and has a sense for real adventure. Actually, fly like Peter Pan with this alternative to Disneyland. For less than a thousand dollars you could become a certified P.A.D.I. SCUBA Dive Master on the beautiful island of Utilla, Honduras. Imagine learning to breathe underwater and fly through crystal clear seas over pristine reefs. Imagine swimming alongside some of the most beautiful creatures on earth as you advance through SCUBA training all the way to “Dive Master”. I have been a certified SCUBA diver for over 30 years, and I can tell you it is one of the most amazing experiences you will ever have. Some SCUBA divers even say being underwater is their happiest place on earth! 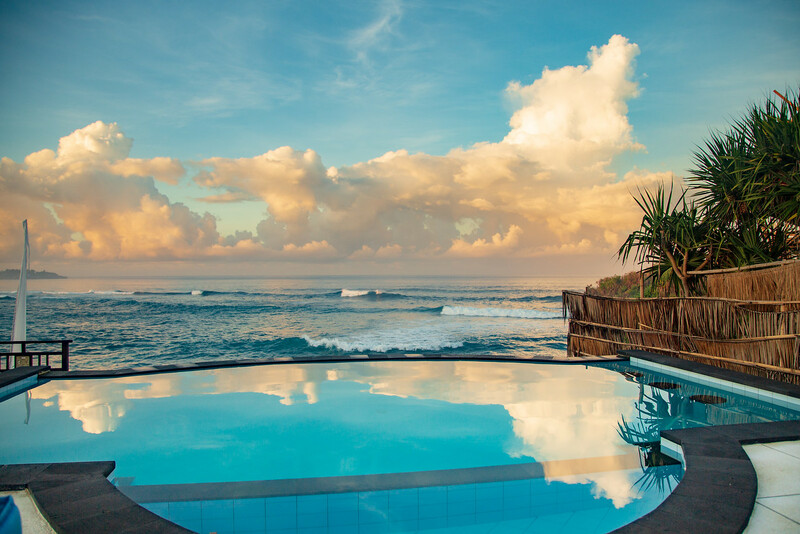 For less than a thousand dollars you could live for a month on the magical island of Bali, Indonesia. This postcard perfect paradise holds something for everyone from white sand beaches to lush jungles to hikes above it all on active volcanos. You can commune with nature among ancient stone temples and dive on some of the worlds best coral reefs. Top it off with fun nightlife, intriguing culture and what I think is some of the best food on the planet and you might not even mind the airfare. If you are a wildlife lover and would like to volunteer to help bears in Romania this opportunity may be for you! For a bit over a thousand dollars, not including airfare, you can work along as a volunteer with bear sanctuary staff in the foothills of the Carpathian Mountains, preparing bear food, assisting with the feeding of bears, keeping an eye on the new babies and giving tours. On weekends you can explore the Transylvanian countryside including beautiful REAL castles, hilltop fortresses, and Romanian towns. For less than a thousand dollars you can hop aboard a train and take a journey almost anywhere in the world. Imagine being on one of Canada’s most scenic train rides through the Rockies, from Vancouver to Calgary, aboard the Rocky Mountaineer. Or, how about viewing sunrise over the South China Sea aboard Vietnam’s Reunification Express? 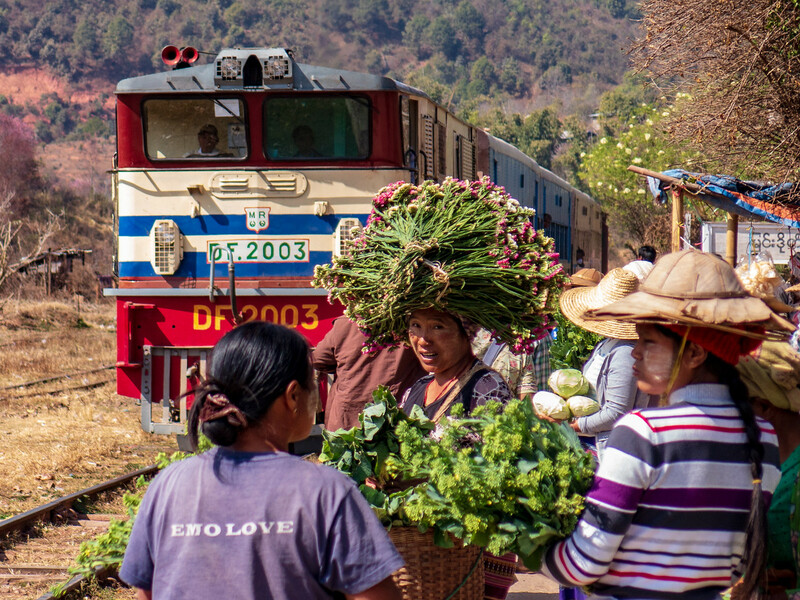 A train ride on a decrepit, vintage train car through Myanmar’s landscape of mountains, ancient temples, and rice paddies may be a little rough, almost like a roller-coaster, but the views are unbelievably rich. Australia, China, Mexico, almost everywhere, on a train, getting there is a lot of the fun and the journeys are often highly affordable. For just a little over a thousand dollars, two of you can go on an eight-day guided tour through India. Learn about India’s interesting history, visit magnificent monuments and forts, see the Taj Mahal. See how other people live in Delhi and Mumbai. See a Bengal tiger in India’s national parks and witness the sunrise over the holy Ganges in Varanasi. At some point, you may actually feel like you are on a REAL Indiana Jones type adventure. For less than $1,049 USD you could spend a month walking in France and across Spain along what is known as the Camino de Santiago, or the Camino trail. Every year, tens of thousands of “pilgrims” hike across the beautiful French and Spanish countryside for spiritual, physical, and emotional reasons. 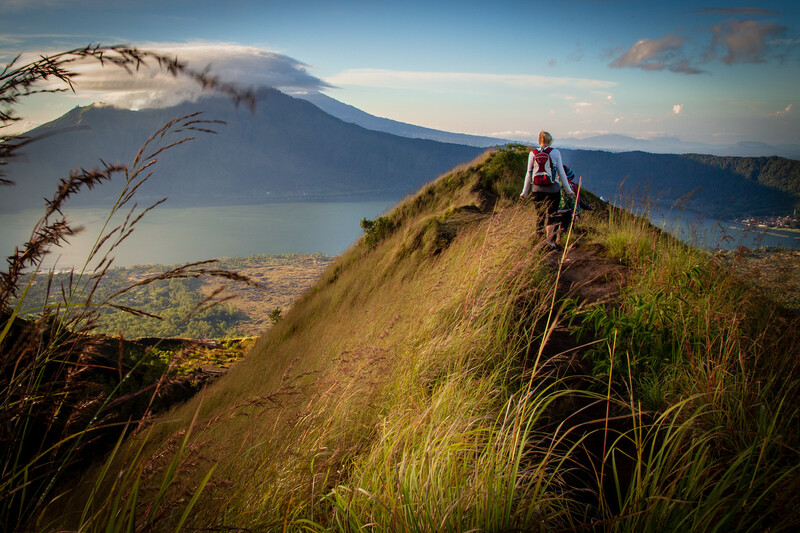 Some simply come for the adventure, while others are looking for a transformative experience. I have known people to hike the Camino for as little as $15 USD a day, but I understand for a more comfortable and relaxed experience, plan on spending about $25 USD a day. You will be walking through charming villages, sleeping in communal albergues (or huts) and making tons of friends along the way. Most people start walking early in the morning so they have afternoons free to explore the villages, mix with their new companions, eat lots of food and enjoy some of the region’s excellent wines. I find walking the Camino so compelling that Sarah and I are doing it next year! Get together with some friends, and for less than $1,049 each, you can hire a live aboard barge to take you for ten days through the ancient canals of France. After only a few hours training you can learn to pilot your own craft through these intriguing remnants of the Roman Empire. Imagine watching the French countryside float by as you see beautiful castles, fields of lavender and tiny villages just off the rail of your floating home. Stop and enjoy great local foods and wine at your leisure. As I understand it, the hardest part is choosing what region you want to explore. Last, and probably least, you missed the opportunity to visit Banksy’s “Dismal Land”, a dystopian theme park, located in Weston-Super Mare, United Kingdom. Billed proudly as “The UK’s most disappointing new visitor attraction” this “Beusement Park” featured the artworks of 58 global artists as well as the reclusive provocateur Banksy himself. Like many other theme parks, there was a selection of rides and impossible to win games, including the “Topple the Anvil with a Ping Pong Ball.” But all is not lost, for less than $1,000 USD you can get a ticket to the U.K. and probably have enough money left over to find a little bemusement of your own. Yes, some of these trips would require separate airfare and might require going with friends to divide the costs, but everyone who goes to Disney knows that the cost of admission is just the beginning. By the time you add on meals in the park, parking, drinks, souvenirs and other extras — to every visit — your daily coast could easily equal or surpass the price of an already high admission. The point is you have options with what to do with your consumer dollars. Just use a little imagination and you can have real experiences instead of spoon fed, sanitized, shrinked wrapped ones.